I hate seeing my messy hair and sometime I find it difficult to manage my hair. I believe having a good shampoo actually can tone up my hair. That is the reason I am fussy when come to shampoo. Take good care of your hair just like how you taking care of your skin. 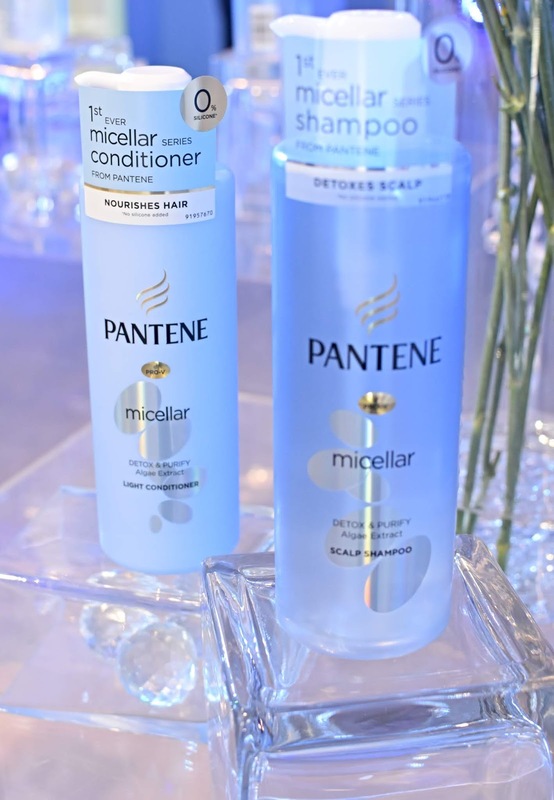 Pantene has launched Pantene Micellar shampoo series that is gentle to our scalp while maintain the moisture of our hair. Pantene’s new shampoo and conditioner pair the ‘Gentle’ and ‘Effective’ cleansing benefits of the Micellar technology with its iconic Pro-V formula that nourishes the hair with vitamins and antioxidants. 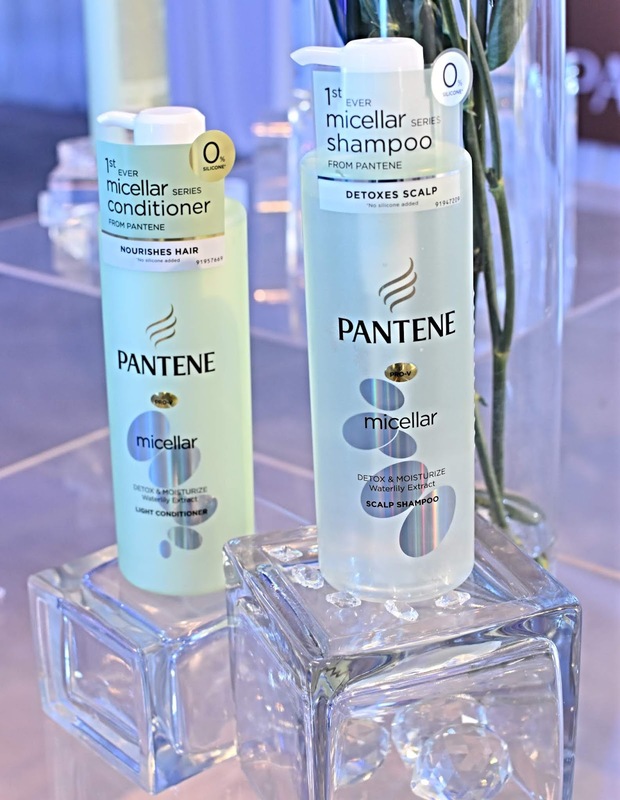 Pantene Micellar Shampoo is proven gentle to your scalp. And it effectively remove the impurities from my scalp without stripping off the scalp's natural moisture as the formulation contains silicone-free micellar formula. After shampoo process, don't forget the conditioner. Pantene Micellar Conditioner keeps your hair nourish and healthy from root to tips. The conditioner formulation also has a silicone-free Pro-Vitamin formula that nourishes hair without weighing it down, specially designed for greasy, lifeless hair. 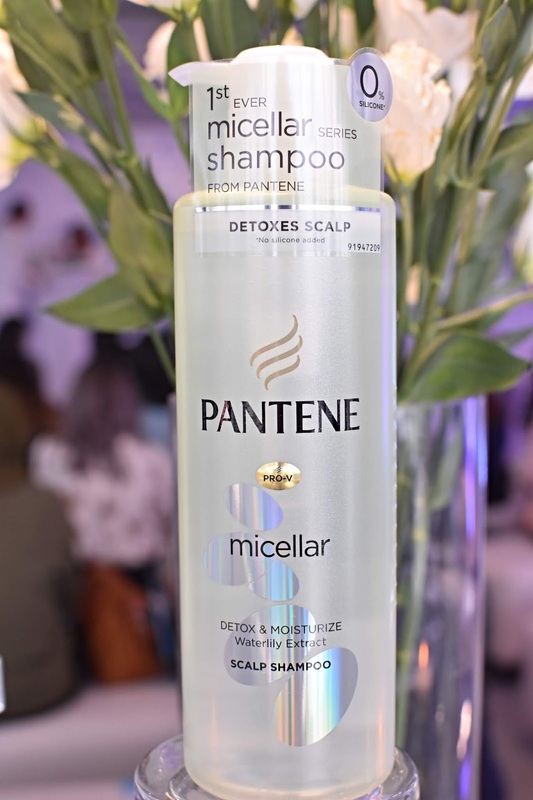 During the media launch of Pantene Micellar, we get to learn and understand the science of Micellar by engaging with product education, fun experiments and educational infographics. Themed “Go Gentle”, the event was elegantly designed with product display stations enriched with multiple visual photo walls. 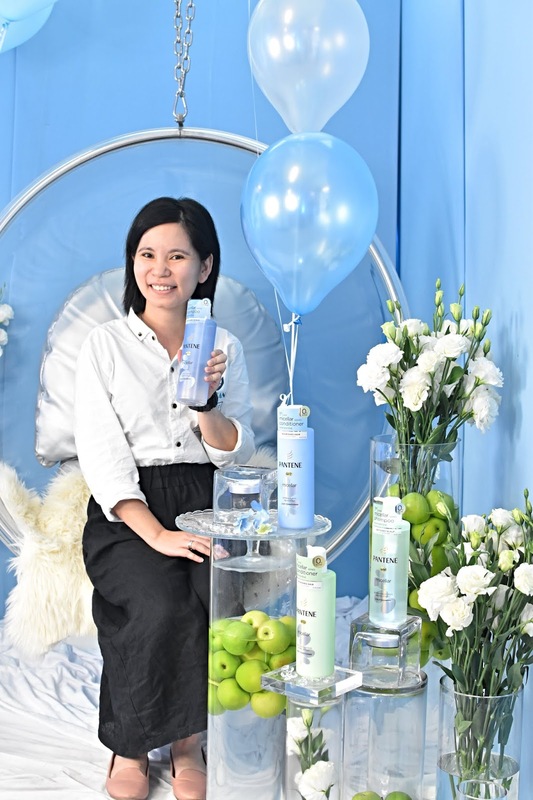 Present at the event were May Teoh, General Manager of P&G Malaysia and Saint Tiu, P&G Asia Pacific Haircare Scientific Communications Head alongside Danny Hoh, Customer Director of Watsons Malaysia and Thoren Tan, Trading Director of Watsons Malaysia. 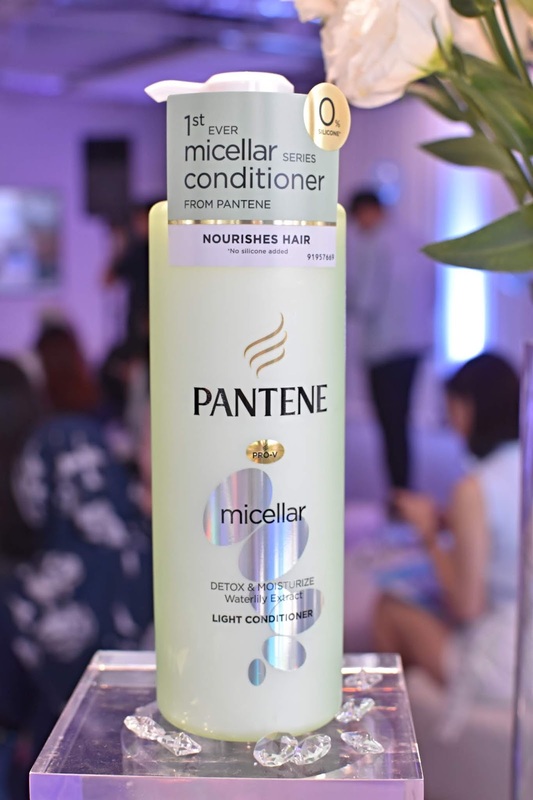 Now Pantene Micellar shampoo series are available in two different sizes where 300 ml priced at RM24.90 and 530ml priced at RM35.90 for each of its hair shampoo and conditioner. For a limited time from 15 January to 18 January 2019, Watsons online store offers pre-order sales for Pantene Micellar 530ml pack (shampoo and conditioner) for only RM50.00 under Gift-with-Purchase deal. The first 100 Watsons Elite members can even enjoy free hair salon vouchers too! To find out more about Pantene Micellar shampoo series, visit www.watsons.com.my or follow Watsons Malaysia Facebook page and Instagram for latest updates and offerings.